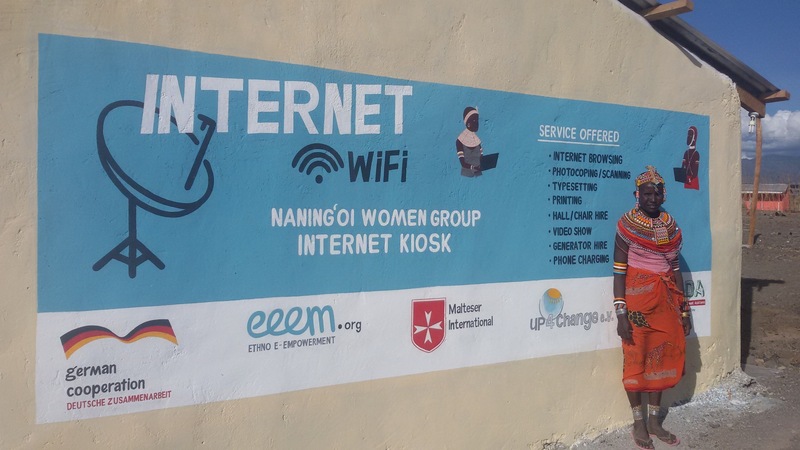 Since 2012 we are working with “The Real Digital Nomads” in northern Kenya. From July 2016 till March 2017, we carried out our pilot project funded by the German Federal Ministry of Economic Cooperation and Development (BMZ): “Resilience strengthening of pastoralist women groups through digital Basic Alphabetization with life-relevant materials in form of eBooks”. 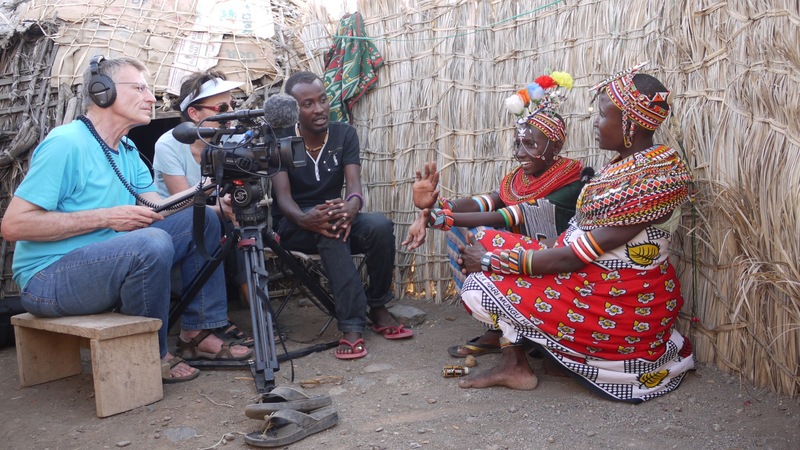 We used six eBooks (Manyatta, Fora, Town, Drought Resilience, Alternative Livelihoods and Animal Health) in two communities in Marsabit County with five ethnic groups and reached 300 women and young warriors. Malteser International and PACIDA helped us to implement our eeem.org project. The training workshops for barefoot teachers in Loiyangalani and Hurri Hills were really successful. We introduced the eBooks in 7-day training courses, working very effectively in small groups. The participants became quickly familiar with the iPad and appreciated the eBooks on different levels – because of their content and as learning tools. Twelve tablets with six eBooks were distributed to selected barefoot teachers in order to enable them to share their knowledge with village neighbors and warriors. Have a look at the video about our first barefoot teachers on the right. „In a wider perspective, the introduction of e-books into beading and livestock rearing had several benefits and outcomes. 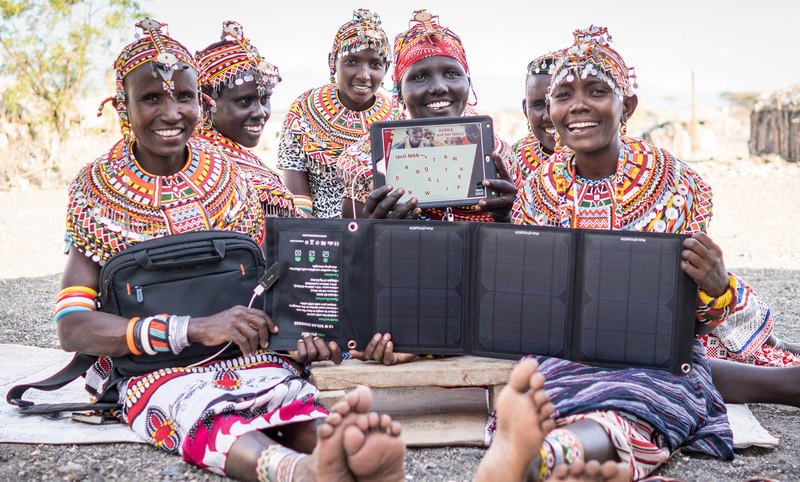 While e-books, beading, fodder production, M-pesa, scratch cards, resilience to drought and livestock rearing may seem worlds apart, bringing them together did more than simply prove that rural folks can learn to use e-books, if only the activity that the e-books is applied to is relevant to them. (…) A case in point is that of drought cycle. Most of the learners asserted that drought will not find them unaware again. Based on the knowledge they have gained from the eBooks they can now adequately prepare for drought on which stages of drought cycle they can buy and sell their livestock”. The Tests/Quizzes we introduced in November proved that the barefoot teachers understood the content and could teach it to their pupils. 295 students were reached by the barefoot teachers in Loiyangalani and in Hurri Hills until the end of March 2017. The barefoot teachers in Loiyangalani met 134 students in total. The 3 barefoot teachers in the village taught 2-3 hours 2 times a week. The two Moran in the fora, Safo Ogom and Magan Lemirikakona, who taught each evening for one to two hours, reached 62 students. In Hurri Hills, 6 barefoot teachers reached 161 students, knowing that Daro Kalla taught at least 2 hours each day. Please notice the video on the left. If you want to have more informations about the project you can find them here.